The Friday the 13th franchise took a nosedive in the late eighties and many fans thought that the series would never regain its luster. Then when New Line bought the rights in the early ninties, a ray of hope shined on the franchise. New Line already had a successful franchise with Nightmare on Elm Street and many thought that New Line would be able to work their magic and bring Friday the 13th back from the dead. They couldn't. Released in August 1993, Jason Goes to Hell would prove that New Line did know what the Friday the 13th franchise was all about. 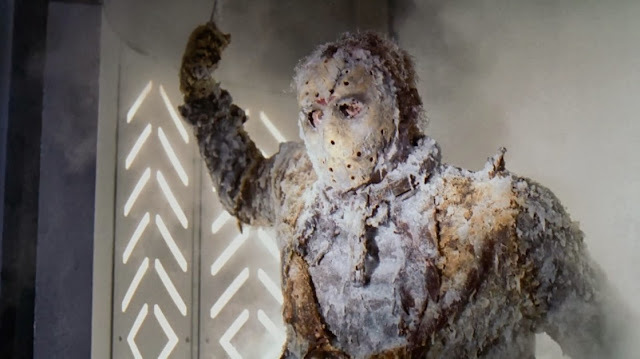 Featuring Jason for only about fifteen minutes and being the most boring out of the series, Jason Goes to Hell would go down as being one of the worst movies in the Friday the 13th franchise. The only glimmer of hope for the series happened at the tale end of the movie. After Jason is dragged down to hell, his hockey mask is seen lying in the dirt. All of a sudden, Freddy's gloved hand bursts through the ground and takes the mask down into the ground. This single act, last only a few seconds, gave fans hope that one day Freddy would square off against Jason. All the horror publications wrote about it and there were discussions at conventions about when the two would fight. Nothing would come of it beyond the talk, but unbeknownst to fans, another Friday the 13th film was in the works. 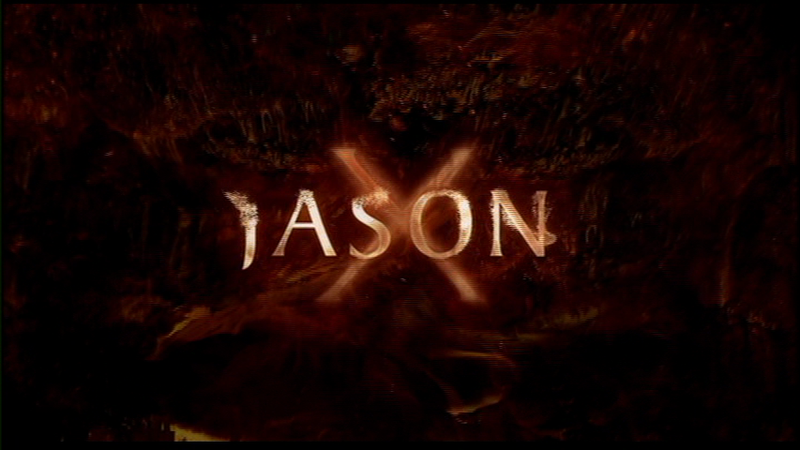 This movie would become Jason X.
Jason X is the closest fans would get to a real Jason movie. Jason is featured predominantly through the entire movie, but the setting is what put fans off. New Line decided that they would take Jason and put him in space. It was Alien meets Friday the 13th, only without any aliens. The question that has to be asked is: why set a Jason movie in space? Well, because they can. Not only that, but the studio thought that it would stir up some scares. I mean, you have two different types of movies being put together, how could it go wrong? The movie itself is ok, but the idea is dumb. Look at it this way: You put a killer into a small area, there are not many places that the characters can go. There is no suspense. There is only one way out and that is to blow Jason into space. This is exactly what happens and yet it feels like a cheat. The filmmakers could've come up with something better than this run of the mill ending. That seems to be the problem with the movie. It's run of the mill. There are no scares in this movie, as if the filmmakers even tried. The acting is hammy and even the effects really aren't that exciting. This was one of the first feature length movies to be shot digitally and while it does look nice, the cheapness of the production shines through. Now I'm not saying that everything in this movie is terrible. There are some pretty cool death scenes and the characters are just smart enough to try to outwit Jason. But the thrill of the Friday the 13th movie is almost gone. 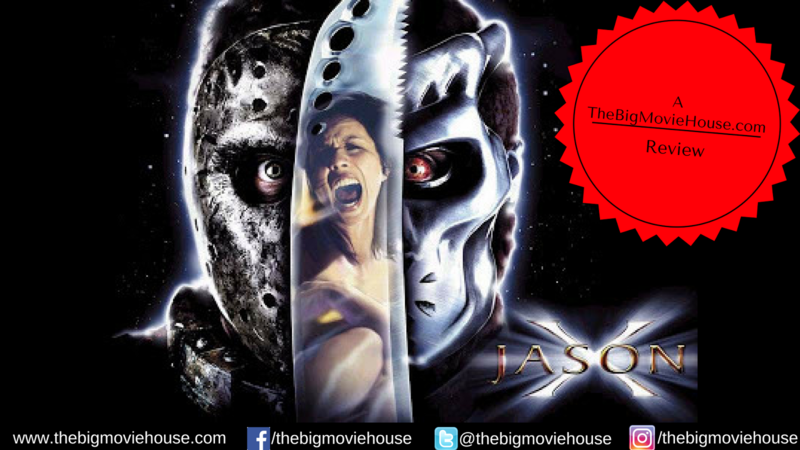 By the time Jason X was released, it was apparent that no one cared anymore, based on the terrible box office this movie did. There are aspects of Jason X that I like, but those can't save the movie outright. There is a cheesy B-movie vibe here and enough Jason that almost takes the nasty taste of Jason Goes to Hell out of our mouths. Almost.